Nuclear technology places special demands on society and both nuclear weapons and nuclear energy for peaceful purposes require a large measure of security and monitoring at the international level. This book focuses on nuclear waste management, which can work in democratic countries only if viewed as legitimate by the population. 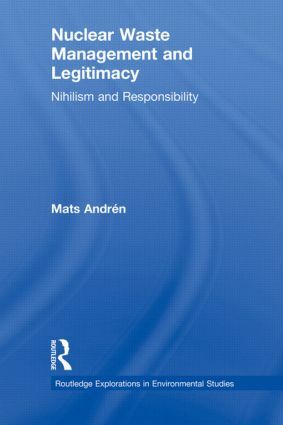 This book posits the inability of democracies to establish such legitimacy as an explanation for the current absence of public policy decisions that can identify a solution. The problems are such that they can be resolved only if fundamental aspects of the modern notion of legitimacy are set aside.